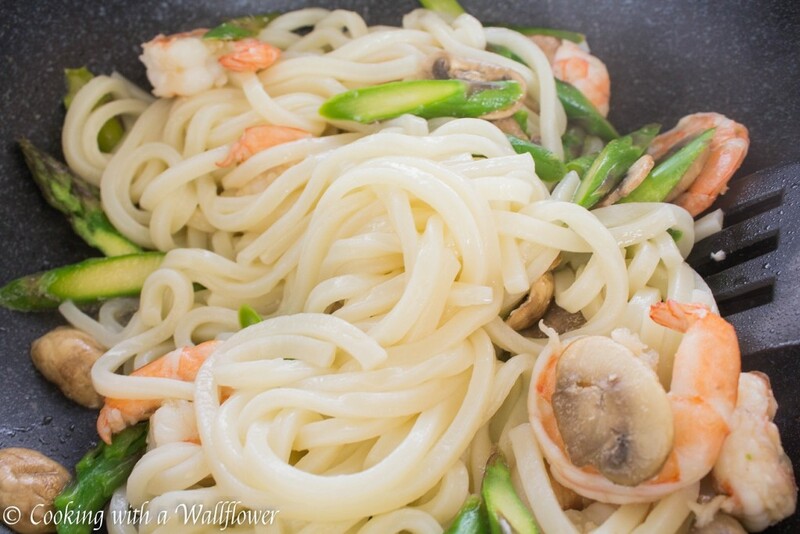 Udon noodles stir fried with shrimp, fresh asparagus, and mushrooms in a delicious sweet and savory teriyaki sauce. 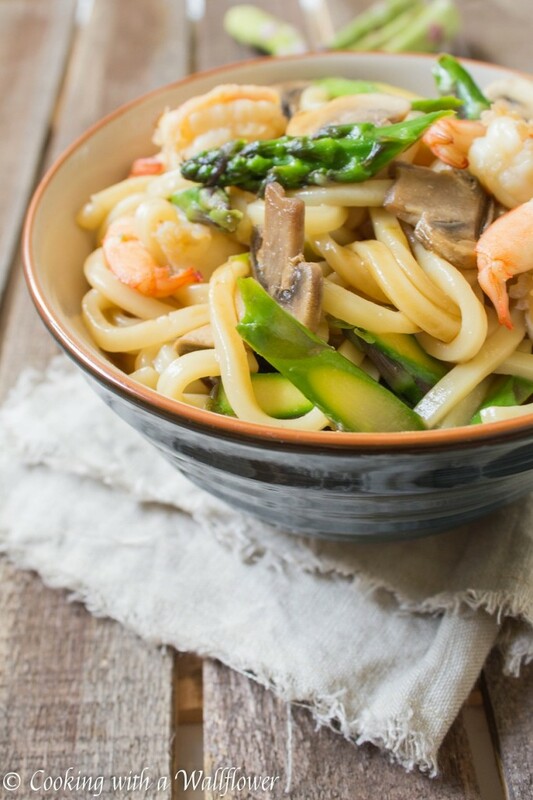 This shrimp teriyaki udon with asparagus and mushrooms is super easy to make and perfect for spring. I worked again this past Saturday, but that’s okay because next weekend, I get extra days off. Yay! Not just because of Memorial Day, but also because my cousin is graduating from SF State University at AT&T Park where the SF Giants play. I’m not really a sports person. And when I say not really, what I mean is not at all. I only tune into games when our local team, whether it’s for baseball, football, or basketball, ends up in the championships. So this Friday will be the first time I ever step foot into AT&T Park. I can already imagine it’s going to be freezing. We’ll be outdoors, right next to the bay, and the ceremony is supposed to last from 5:30 till like 10pm? I’m bringing blanket scarves with me and sneaking in snacks. Shhh. Don’t tell on me. 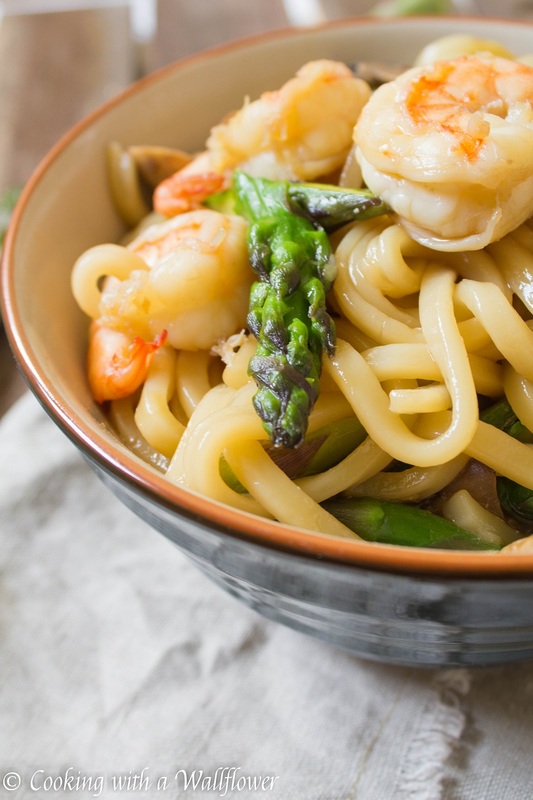 In the meantime, let’s talk about this shrimp teriyaki udon with asparagus and mushrooms. I seriously love the combination of asparagus and mushrooms, and since they’re both readily available at the market, why not use them, right? 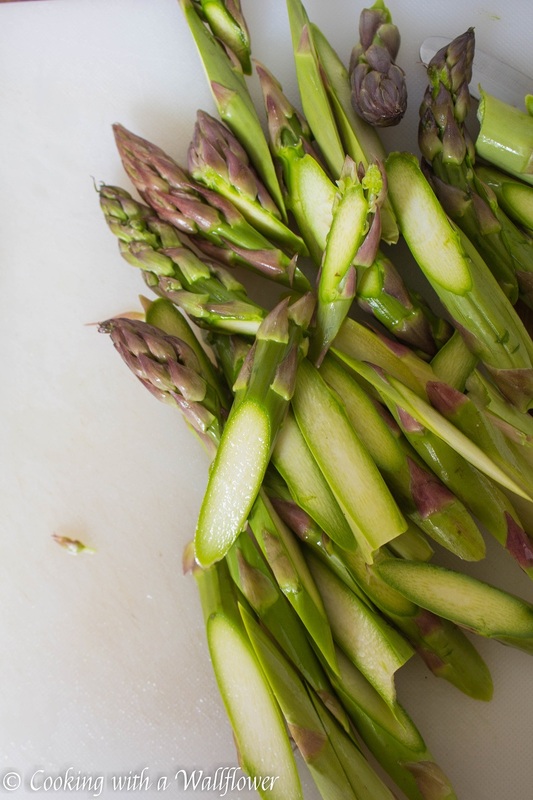 Especially the asparagus. Combined with udon noodles, shrimp, and teriyaki sauce? Absolutely perfect. And most importantly, super, super easy. You also don’t have to use udon noodles either, but I really like them because they’re thick and chewy. The texture is soo amazing. And while most of us are familiar with udon in noodle soup, you don’t have to use them for only that purpose. I buy a large package of frozen udon with enough to serve 4-5 people and keep them in the freezer for when I have cravings. First, cook the udon in a medium sized pot according to the directions on the package. You’ll want to boil the udon noodles for about 2-3 minutes until the noodles are soft but still chewy. Drain the water and set aside for now. In a small bowl, combine soy sauce, mirin, and granulated sugar. This version of teriyaki is made without a thickener so the sauce will be very thin. If you want the sauce to be thicker, you can always whisk in a little bit of cornstarch or flour. In a medium skillet, add a little bit of olive oil and allow the olive oil to heat for about a minute. 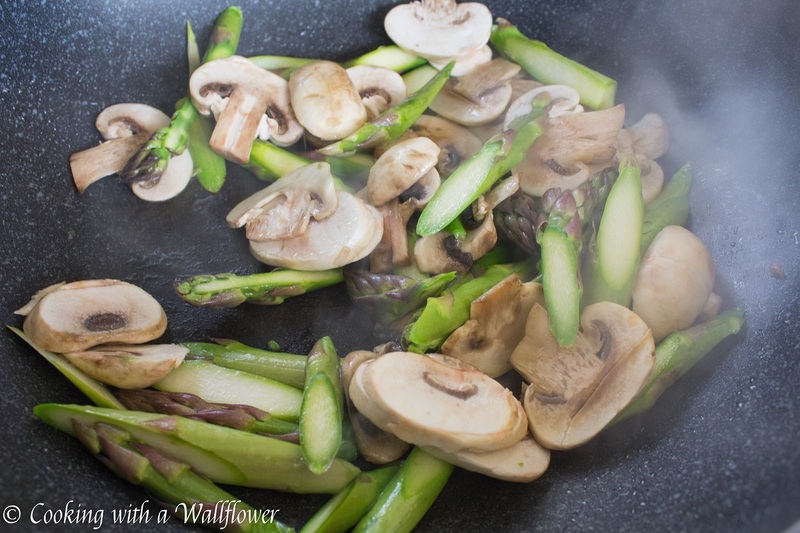 Now, add the mushrooms and asparagus and cook them until they’ve softened to your liking. I like my mushrooms and asparagus a little more tender. When the asparagus and mushrooms are just about ready, add the shrimp. Shrimp cooks really fast. Once they turn from a gray color to a reddish orange color, they’re ready. Add the cooked udon to the skillet, and pour in the teriyaki sauce. Combine all the ingredients until everything is evenly coated with the sauce. Liquid from the asparagus and the mushrooms will also help add to the sauce. 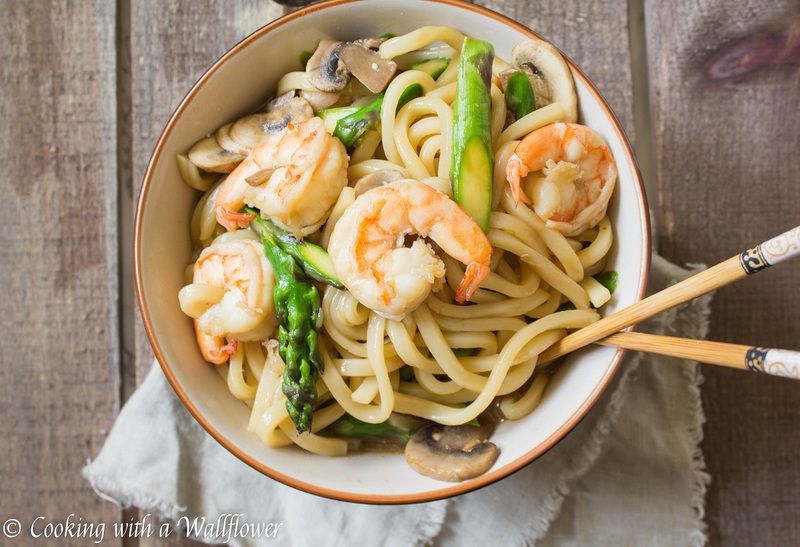 Divide the shrimp teriyaki udon with asparagus and mushrooms onto two or three plates. 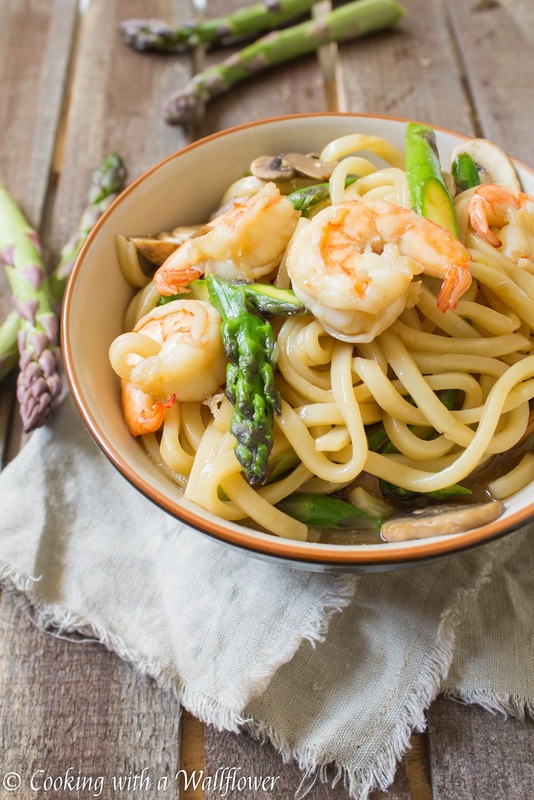 Serve the shrimp teriyaki udon with asparagus and mushrooms warm. 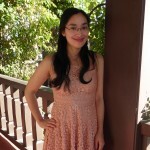 Come join me and other food bloggers at Fiesta Friday where you’ll find tons of amazing recipes. First, cook the udon in a medium sized pot according to the directions on the package. 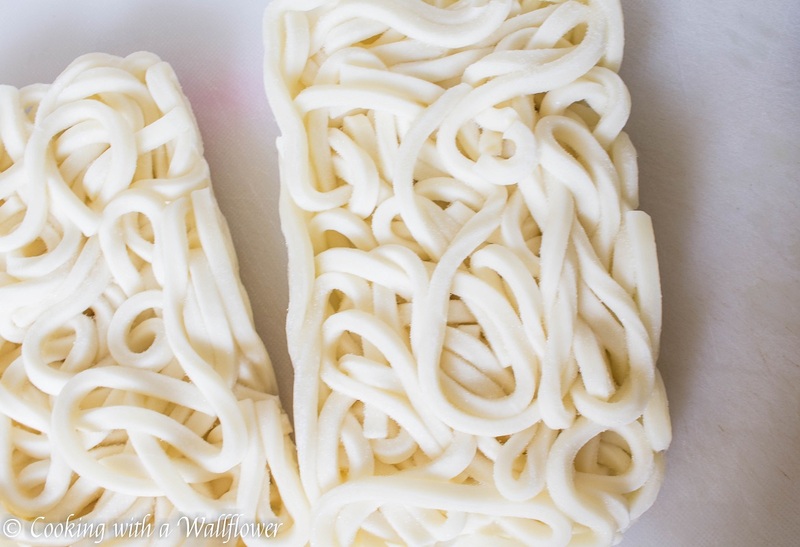 Cook the udon noodles in boiling water for about 2-3 minutes until the noodles are soft but still chewy. Drain the water and set aside for now. In a small bowl, combine soy sauce, mirin, and granulated sugar and whisk until the ingredients are well incorporated. In a medium skillet, add a little bit of olive oil and allow the olive oil to heat for about a minute. Now, add the mushrooms and asparagus and cook them until they’ve softened to your liking. 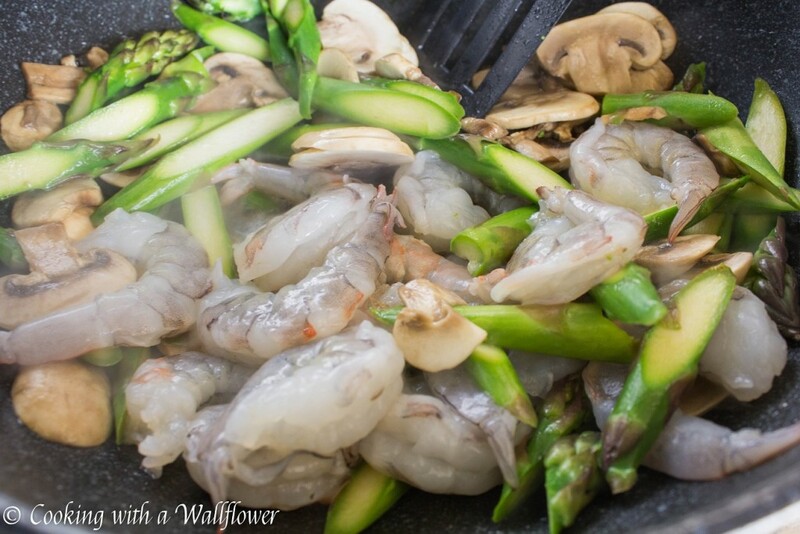 When the asparagus and mushrooms are just about ready, add the shrimp. Cook the shrimp until they turn from a gray color to a reddish orange color. Add the cooked udon to the skillet, and pour in the teriyaki sauce. Combine all the ingredients until everything is evenly coated with the sauce. Liquid from the asparagus and the mushrooms will also add to the sauce. Divide evenly onto two or three plates. This version of teriyaki is made without a thickener so the sauce will be very thin. If you want the sauce to be thicker, you can always whisk in a little bit of cornstarch or flour. This entry was posted in Asian Inspired, Entree, Farmer's Market, Healthy, Quick and Easy, Recipes, Spring Cravings, Summer Cravings and tagged Asian Inspired, farmer's market, noodles, quick and easy. looks simple and yummy. I’ll try soon. This looks awesome and simple! Two things I love in a recipe!